Stocking stuffer day! Why not fill the socks with these beautiful natural soap and bath goods from Jordan River Soapworks. Let’s face it, way too many people suffer from irritation, reactions and dry skin thanks to all the junk that’s in modern skincare products. The founder of Jordan River had this issue. 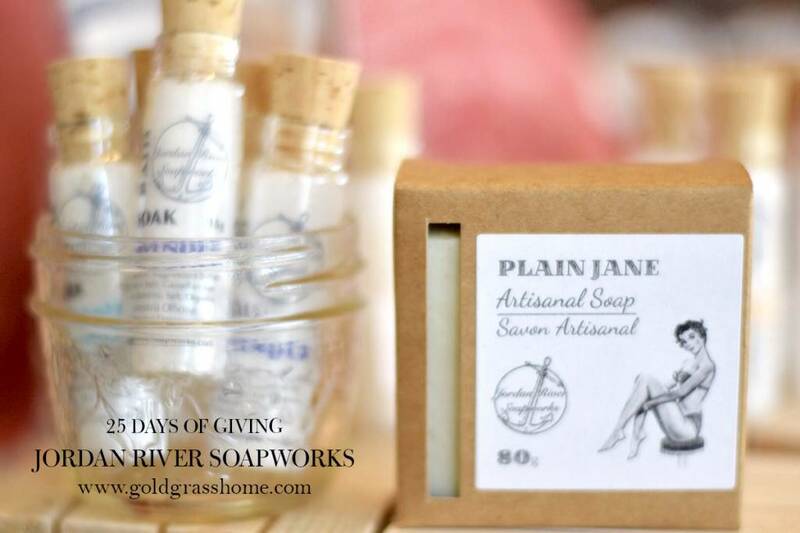 So she started her own soap company, dedicated to making something better. You don’t need to go as far as doing something like that. You can just get her stuff. Treat yourself to a fresh, clean bath (or shower.) And live happily ever after.